If you had to do the shopping this morning, we bet it wasn’t like this. 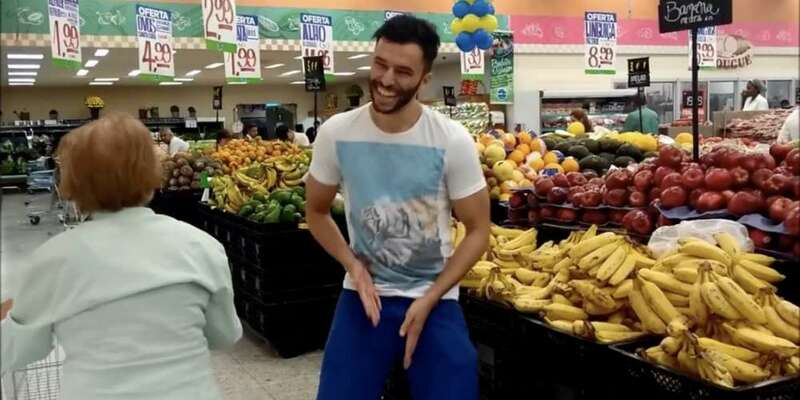 This is the newest viral video in Brazil, and it’s going to be your new favorite thing. Both video feature their stars sexily dancing their way through the supermarket. Anitta goes to a few more locations, like the laundromat, but we prefer Rafael’s commitment and loyalty to his local grocery store. We were able to get the inside scoop on the video from Rafael himself. He told us the video was shot in his neighborhood grocery in his hometown of Rio de Janeiro — while he and his friend running the camera were shopping! Rafael says the video was shot as part of an online game put on by the Facebook page Please Come to Brazil. 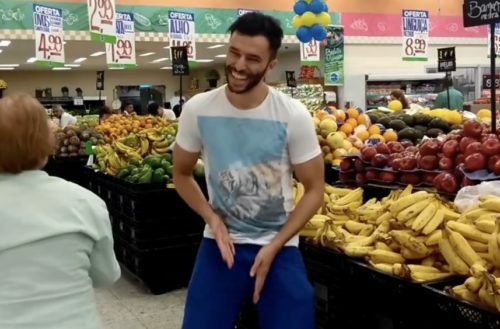 They had a contest encouraging people to do parodies of Anitta’s “Paradinha” video, though as Rafael says, he “went a little bit extra.” And it was worth it — the video quickly became a hit. It’s that humor, combined with his dancing skills that make this video such a big hit. And it shouldn’t be a surprise that Rafael’s a great dancer — he’s a performer in his own right. He recently released his first single, “I Want You,” which is a perfect slice of dance-pop. He’s also preparing a new EP, Better Late than Later, for a July release. The new single coming with the EP will be called “Put It Down.” Here’s hoping he shoots a video for that one — he’s clearly got the skills!